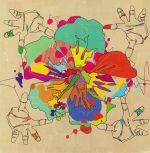 Review: According to the South American fusionists who run Names You Can Trust, Buyepongo is one of the leading lights on the Los Angeles "tropical underground", a scene known for fusing traditional rhythms and instrumentation with more streetwise contemporary influences. 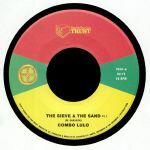 The two cuts showcased here were recorded in an analog-rich New York studio, and are apparently particularly popular with the group's Los Angeles fans. 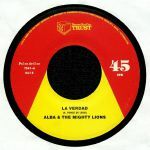 A-side "Por La Vida" is a real killer - a jaunty, dub-fuelled Cumbia outing rich in dancing accordion lines and Tito Puente style percussion. Flipside "Miri" is way more tropical in tone, doffing a cap towards the Caribbean and low-slung 1960s psychedelia whilst remaining close to the band's South American roots. Review: For the uninitiated, Tonada Baile Cantado is a collaborative project helmed by members of the Brooklyn-based Bulla en el Barrio, a fluid collective of young musicians dedicated to making new music in the Colombian "Bullerengue" style. This is volume two in an ongoing series of releases and is every bit as vibrant as its predecessor. First up is "Papa Lopez", where chanted, Afro-influenced female vocals rise above a dense and percussive groove. 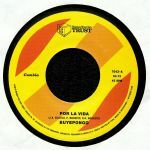 This is quickly followed by the up-beat thrust of the similarly inclined "Vamos Pa Venecia" and B-side opener "La Hamaca", where brilliant vocal harmonies dance over another insatiable hand percussion groove. 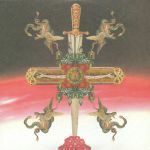 Closing cut "La Suerte", meanwhile, may well be the best of the bunch; it's certainly the heaviest.